There are many versions of the fairy tale 'Little Red Riding Hood' around the world. 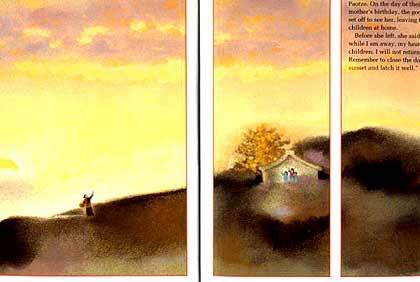 'Lon Po Po' is the Chinese version written by Ed Young: three children outsmart a wolf by tricking it into falling from a Ginkgo tree. Read this fairy tale (in English) here (pdf).